Median Santa Clarita Valley home sales jump from September to October. In a report issued by the Southland Regional Association of Realtors, Santa Clarita has once again seen gains in home prices during the month of October. The median sales Santa Clarita home prices on the rise.price for a single family detached residence topped out at $440,000 last month, which is a nearly 3 percent gain over September. Year over year, we’ve seen home prices rise just over 22 percent from October 2012, where home prices averaged $360,000. Condominiums prices are also rising. This is good news considering their slow start out of the gate once the real estate recovery began in earnest. Homeowner Association regulations regarding FHA financing for the purchase of some condominiums had led to slow growth, but it appears that home buyers eager to “get into the game” have overcome those obstacles as condo prices have jumped 40 percent from October of last year. Average sales price of a Santa Clarita condo was $280,000. Foreclosure and short sales on the decline. Equity sales on the rise. The Santa Clarita Valley is also seeing a rise in equity sales; meaning that more homes are being sold at a profit. This contrasts sharply from an abundance of short sales (Which is the exact opposite of an equity sale, where the seller owes more on his loan than the property is worth). Short sales only made up just over 15 percent of overall home sales in October, while foreclosures dropped to less than 4 percent. Both of these figures equate to “pre-recession” levels in the real estate market. Available homes for sale on the rise, but still below the norm. One of the driving forces in the rise in real estate sales and prices is that available residential inventory for sale has been critically short throughout the year. At one point, the Santa Clarita Valley had less than 300 homes on the market. October showed an average of 554 homes for sale, which only equates to about a two month supply of properties on the market. The average is usually a 6 month supply. If you’re thinking about selling your home, there’s no time like the present. Montemayor & Associates are experienced, professional, and prepared to answer all of your questions and will work to get you top dollar for your property. Home buyers should not overlook the opportunities available to them. 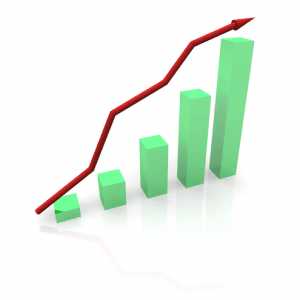 Rising property values means that there is a good chance your investment will improve in value quickly. Loan rates are still extraordinarily low, so qualified buyers can really take advantage of the buying power at their disposal.